Digging and harvesting operations in the V-C region are coming to completion but the weather system the weekend of October 30 will delay final harvest. Weather conditions from October 12 through October 30 were excellent in most areas to allow digging and harvesting. 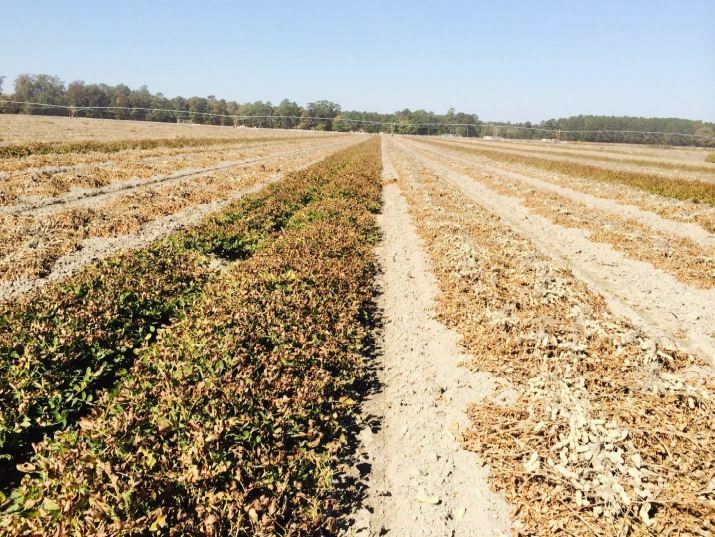 Approximately 95% of the peanut crop in the region has been dug as of October 30 with 90% harvested. The upper V-C experienced frost on October 19 and 20. Growers did a good job of delaying digging until after freeze potential passed. 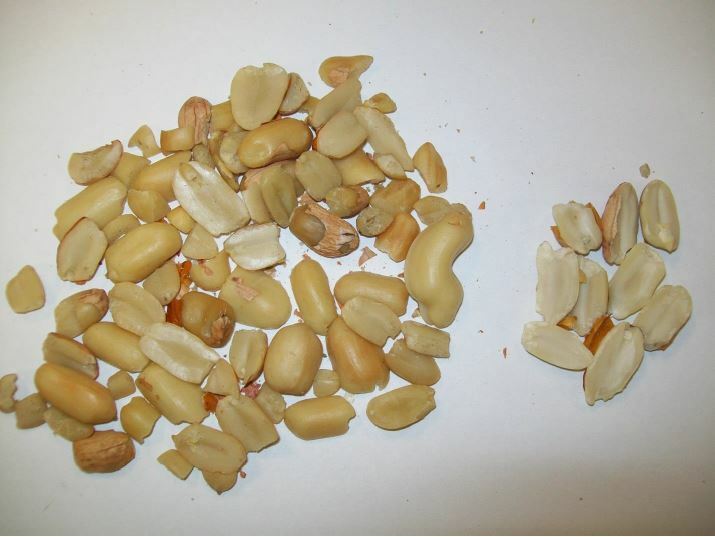 The percentage of segregation 2 or damaged peanut due to a number of factors has been considerably higher than normal and on average is 1%. Variation exists across the production region with some areas experiencing higher levels. Damage at this level has not occurred since 2005 in the V-C region. While freeze damage should be minimal, damage caused by burrower bugs in South Carolina and mold, sprouting, and discoloration in North and South Carolina have been problematic. The estimate for planted hectares is 85,000 (210,000 acres) for the region, however, actual harvested hectares will be lower due to some flooding in the lower V-C. Five percent of acreage will not be harvested. Yield estimate for the region is 3,100 pounds/acre (3,472 kg/ha). Estimates of yield in South Carolina, North Carolina, and Virginia is 2,600, 3,300, and 3,900 pounds per acre, respectively, corresponding to 2,912 kg/ha, 3,360 kg/ha, and 4,368 kg/ha. 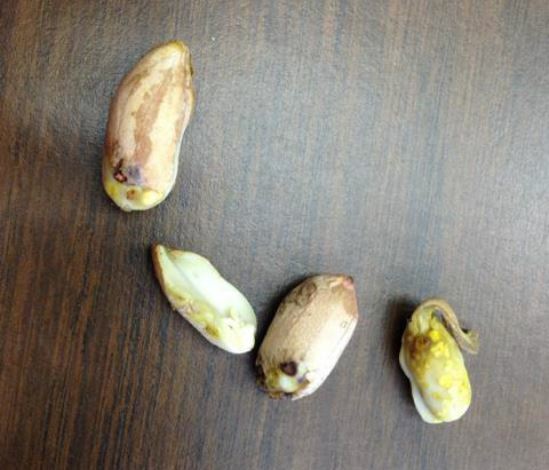 Damaged kernels caused by burrower bug in South Carolina. Photo provided by Billy Barrow, Golden Peanut Company. 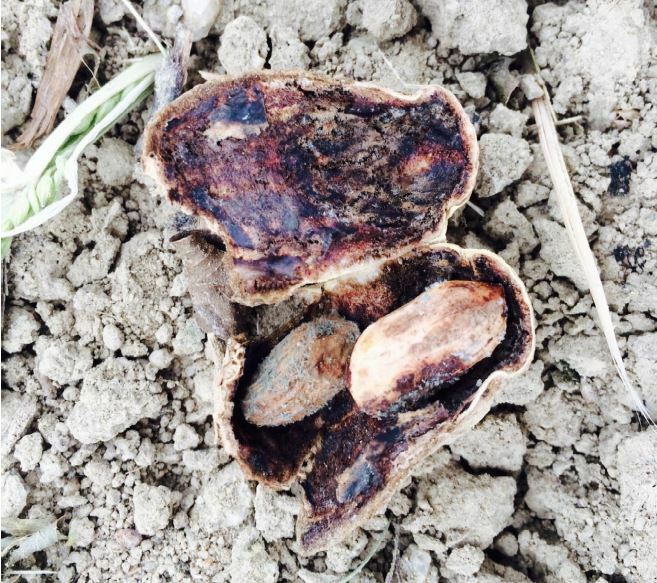 Freeze damaged peanut. Photo provided by Ronnie Wynn, NCDA&CS. Damaged kernels due to poor conditions in the field. 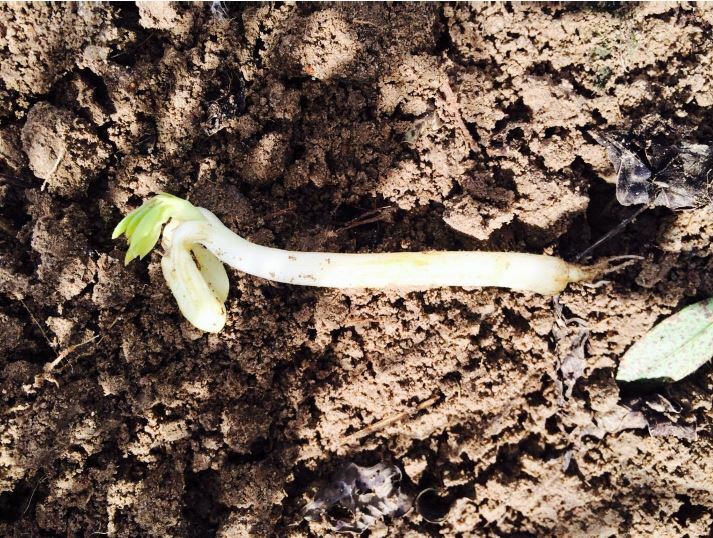 Peanut sprouting in the field due to delayed digging and harvesting. Peanut vines with freeze damage.